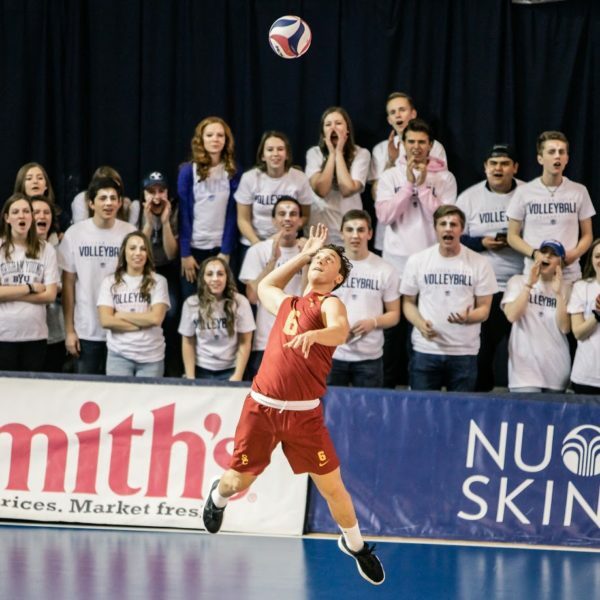 Hawai’i’s Patrick Gasman and Stijn van Tilburg, USC’s Chris Hall, Mount Olive’s Joel Roberts, Ball State’s Matt Szews were selected on Monday for the Off the Block National Position Player of the Week Awards. Hall finished with 36 assists and guided the offense to a .493 attack percentage as No. 11 USC swept undefeated No. 1/1 Long Beach State on Saturday. The setter also contributed a three digs and a block in the Trojans’ first win against a No. 1 ranked team since 2013. Szews had a season-high 21 kills on a .327 attack percentage while adding three aces and eight digs as No. 15 Ball State upset No. 7/6 Lewis in five games on Saturday. He also had a match-high 14 kills along with seven digs in a three-game loss to No. 10/10 Loyola on Thursday. van Tilburg had a combined 42 kills in three victories at the BYU Invitational, including a season-high 18 kills and zero errors on a .750 attack percentage in a sweep against McKendree on Thursday. He also had 13 kills while hitting .500 and three aces as No. 2/2 Hawai’i swept No. 8/7 BYU on Saturday finish the non-conference tournament undefeated. Gasman had a season-high 10 kills and zero errors on a .909 attack percentage while adding a match-best five blocks as No. 2/2 Hawai’i swept No. 8/7 BYU on Saturday to remain undefeated this season. He also had a combined nine kills and six kills while hitting .600 in sweeps against McKendree on Thursday and Princeton on Friday. Roberts had a combined 21 digs in two five-game conference victories, including a match-high 14 digs against Limestone on Friday. He also had a team-high 12 digs in a three-game loss to Harvard last Tuesday.